Not located immediately at the villa, but daily and weekly memberships are available nearby. Premier Golf Membership includes tennis club access. Ask Concierge for additional details. Utilization of an oceanfront beach club which includes restaurant, adult & children's pools, sea kayaking & beachside massage. Fantastic stay at Dulces Suenos!!! I just returned from a five (5) night stay in Las Palmas, Punta de Mita, at Dulces Suenos Unit 1. What a fabulous home, awesome location, and filled with so many conveniences! When we arrive we were met by our concierge, Claudia, who walked us through many of the things we needed to know about the home and the area in general. We arranged for a private cooked meal that evening and it was terrific! Housekeeping services were top-notch and my wife was really happy with the cleanliness of the home. SUPER top-notch in every regard! The area had so many beach club, restaurants, beach bars, and activities that were were always buzzing off somewhere in our golf cart to enjoy a new place and new experience. This is a terrific place to get away to for a week to really relax and enjoy the beautiful surroundings. The golf course was so immaculate, I wanted to take up the game again! Just a lovely time, at an absolutely beautiful home. HIGHLY RECOMMENDED!!!! This was a very special family vacation. 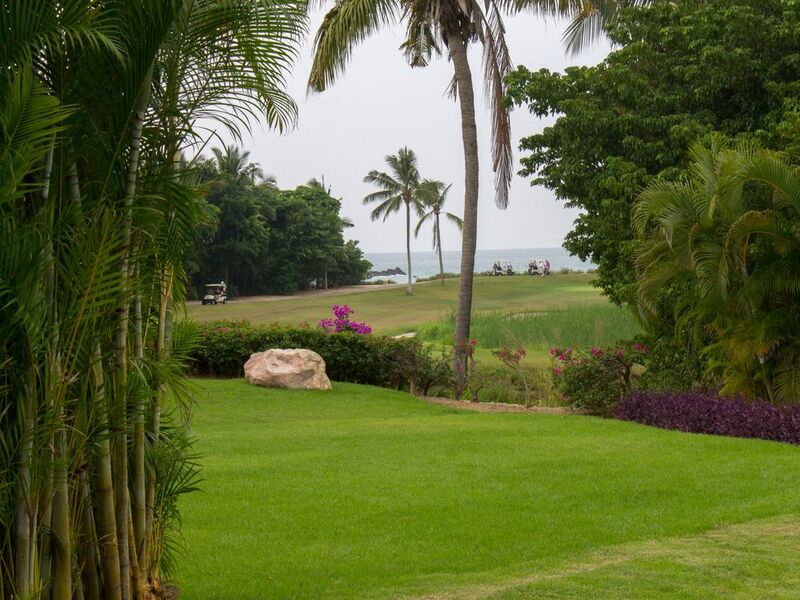 We have been coming to Punta Mita for ten years and renting homes in Las Palmas. This is our favorite of all the homes we have rented. Nicole was a delight to work with and always responded immediately. Claudia,our person in PuntaMita was indispensable. She shopped for us, arranged transportation,made restaurant reservations and handled any concerns that we had. Very clean and well maintained. Nichole was easy to work with and always there if we had questions, the whole stay was smooth and relaxing. Thank you. We stayed here for 5 days and had a wonderful time. The house is in immaculate condition and exactly as advertised. It is conveniently located with easy access to hotels, beach clubs and restaurants by golf cart....and a quiet place of solace if you want to get away from it all. Our kids loved the pool, gardens and the short walk to the beach. Nichole and Chantal we incredibly responsive and helpful. We would love to return. Thank you Nichole and Chantal! Fabulous villa in great location! Our party of 3 adults and 3 kids had a great stay! We loved that it was just a quick walk to the Resident’s Club beach and the kids loved taking the golf cart around Punta Mita to the other beach clubs and Around Punta Mita. Chantal was great in making us dinner reservations at our favorite places, Sufi and Tuna Blanca and we had a great special chef dinner at Kupuri one night. The villa has everything you need and is very comfortable. Only thing missing was a hot tub!